Toni left her home at 7.30 pm on 27 July 1979 in the company of Kay Docherty (also missing, her record in this forum) and they have not been seen since. A letter had been received by parents post marked Darlinghurst on 1 August 1979. Reported missing to: Warilla Police Station. I have been asked to look at Tarot for Toni Cavanagh via a request from her cousin here on the blogger. Toni disappeared with her friend Kay Docherty. As there are two girls involved here I may have to look at both for corresponding links or to see if the Tarot information ties together. First I have to remind readers to bear in mind that Tarot gives 'glimpses' of past present and future' and I have no idea where the information may relate. However, as messages come through Tarot I write them down and hope that somehow they might make sense to whoever is examining it or who may know more details and are able to piece things together. Tarot cannot be relied on as 100 per cent accurate and for this reason I write only what I see and make no guarantees on what I have received. Please look to other factual sources. Now the first thing I noted was that I felt that Toni might be easy to read when I saw her picture. Sometimes you get that feeling that someone 'wants to tell you things' . My question was what happened on the day that Toni disappeared. Tarot gives me what it wants to tell me. From this first card it is telling me about what Toni might have felt or what might have been 'happening' as far as she was concerned. This card is giving me the idea that life is 'all work and no play' and a general feeling that 'there must be more to life then this' and this card can indeed suggest some type of break, or holiday. Perhaps that was all that was in her mind. However, there seems to be a 'stop' on this, obstacles and problems and whatever was intended it appears that something did come up and get in the way of what was 'going to be' in Toni's mind. If for example Toni thought about 'getting away' for a while it might transpire that this 'getting away' was not quite what she envisioned. For one thing she is completely unprotected here. The fences are down as are the barriers so there does not appear to be a feeling of security that I can see. Im also feeling a little bit that its possible that Toni was not altogether sure about going anywhere as this card can represent a kind of anxiety about the whole thing. Either that, or this later crept into the situation. I do not feel she felt 'supported' in her feelings and I do not quite know whether that was just general young girl stuff at home (most teenagers feel misunderstood) or again whether this came about where perhaps she was not fully sure if she was up to the challenge of 'going out there in the world'. There does seem to be some amount of trepedation so perhaps she did have second thoughts, it is possible. I am seeing a very defensive feeling here and that she may have been overpowered. This could be by someone else. If this card creeps in at a later time it could take us down a very tricky road. First let me say that Wands are normally always SOUTH in direction. If it is not a direction it can be the name of a road or a place with the word South attached. This card is reversed. Reversed cards can be difficult to maintain a solid direction when turned on its head. It might suggest that the idea was to go South or that SOUTH comes up (as explained) but that direction was changed. Sometimes reversed this card can link in 'WEST'. Again direction or place name. It has to be understood that the 9 of wands is someone who when the card is upright might have a head injury or something as simple as a headache. However this shows that Toni would have jumped into a situation unprepared and I do see a weakness about this so Im not seeing her as a strong character here as illhealth or just wanting to back away can be significant in this card. So, did she feel attacked or did she fear attack when it was thought that circumstances were pretty safe? Why am I feeling that this girl did not want to go on an adventure, there is no adventure with the Page of Wands reversed that seems to be unlikely. With the Queen of Wands reversed which can show an entertainment place, it can also show someone with a very spoilt and demanding attitude male or female who could stamp their feet if they dont get their own way. Now its deciding whether this is just the emotions of Toni in her life around the 27th of July or whether it throws us further on. You see there is someone here who is travelling, knights travel but reverse this and we get a car crash situation. This can be real or it can simply mean this alleged adventure possibly ruptured when friendly alliances have fallen apart? At this stage in Tarot I need to go through the set of cards before I can make any firm decisions. Links to a vehicle and barren landscapes with water can show here and a vehicle that comes to a halt or is scrapped or the journey itself is halted perhaps in that way. Trailers Caravans are also vehicles that come to a halt because they are mobile but stationary. All things to consider. However, there is someone here who could be up to 35 who MIGHT have a vehicle and may possibly be male who is sporty friendly, cheeky and pretty amiable and on the surface may seem very nice and trustworthy. However, when you reverse that what you see is NOT what you get. The complete opposite in fact and they can make you do things you just dont want to do. They can almost make suggestions that are way out of your league of thinking but they are controlling, bullying and aggressive, even downright nasty. Therefore Im not particularly liking what I am seeing at the current moment. The Ten of wands is in the middle of all this and can show being outside the town or a town again same directions as already given, away from buildings and possibly into slightly rural land. Wood is often thought to be in this picture and it has often been thought of as cabins or where there are sawmills but even if they were in the vicinity Im not sure if Toni was right by the 'buildings' or not. The 10 can show enormous subterfuge and treachery so it is clear to me that something has gone very wrong here and what appeared to be an innocent adventure has turned into something that has totally overwhelmed and over powered this girl. She simply was not expecting things to turn out the way they did. I think had a lift been offered she might not have wanted to take one. There is a possibility of a male here up to 35 might be older but I can only sit around that age group. Again it is important to note the 'sport' elements of this card. So either a sporty person, adventurous or we could be talking about sports places or names like that or even actual fields, football/baseball etc might be en route. I am also seeing a rural area with water in the landscape and a house/building near or on a HILL or even an area with the name Hill or hills. There may be an airport somewhere in the vicinity or distance. This could also amount to contemplating a journey that covers a greater distance though whether it was actually achieved I am not wholly sure. It may be on the border of two counties? This however might be a plan of travel that came to a halt? If there were a group of friends at any point I see a breaking away here. I also see quarrels and tempers and the general feeling that people 'fell out' or even maybe a fight or some kind of scuffle perhaps whilst on the way 'out of town'? There might also be a motel in the picture/or eating place. All this information is possibly jumbled but Im just going to read the information given as it may slot into different time aspects. Attempting to ask where Toni is all I receive here is a reference to the message that was left which I presume is the letter that Kay might have written to her parents. Its almost as though Tarot is saying 'why ask me that question' when a note was produced to reveal where the girls were? But that card is reversed. That makes me feel there is something odd about that note. Tarot cannot tell us names of places only give us descriptions and now looking at the map and accepting it may just be centering around Warilla, I look at the Surfrider caravan park to the south of there. I also find I am looking west to Oak Flats and Buroo bay and all that Bay area because left of that is the airport that Tarot seemed to feel was in the distance. My only problem is whether this is past or whether it is a current location. The High priestess gives us a B and a J as possible initials of people or places that might be in connection to location. So other locations may need to be considered of these descriptions. I see a 28 in distance perhaps. Obviously, I will look at Kays Tarot to see if there is anything remotely similar. I am not sure if I see just the two girls I think there is a third person at least. Im wondering if that is a man? South figures most with the cards I have seen - West also appears to be here and linked to the Moon signifies water and possibly even structures near water such as bridges, towers, pylons. When a card is reversed it is possible that the North could signify, and I did see that Darlinghurst is not far from a place called Surry Hills. However, that is far too easy to find a corresponding name on a map. Therefore I am always extremely cautious about suggesting places and prefer descriptions due to the problems it can cause by giving the wrong information. This type of reading for location is very tricky and it is not Tarot's intention to lead hard working earnest people on a hopeless trek. It is not fair. However, I give what MIGHT be possible areas of interest though at which point I just cannot discern . It is also very possible that there are sexual matters involved with the High Priestess and we have to bear this in mind. If that is the case we could be talking about a Male presence who has absolutely no real sensitivity for women. 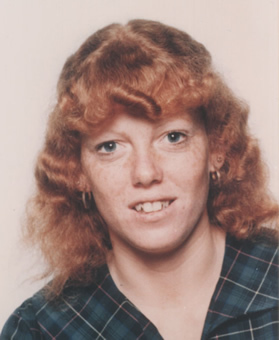 Asking when Toni will be found it is very unlikely it is 4 weeks as wands does suggest four weeks and we know this is hardly the case as Toni has been missing for many years. Perhaps it is four weeks from Tarots insights - but maybe it is just suggesting a FOUR perhaps a distance. So I need to look again here . Perhaps we are getting April or May . The Four of Wands can suggest somewhere near a restaurant, motel or pier. The Three of wands is looking over a Bay but a little away from there so perhaps inland a little? The five is giving us the sporty element hence the area at Oak Flats as the areas there have OVAL in them and ALBION which can be sporting names. Fields or open areas perhaps? these are merely possibilities but ways of breaking down places in Tarot. Yes these are places that could be considered but may be incorrect yet the descriptions could be likely but in another place. If there was an area in the intial search, perhaps it should be looked at again as it seems that there might have been a difference of opinion with too many options to consider. I know it might sound strange but Im feeling that Toni did not go on holiday as such but might be in a place not far from what would be considered a holiday area. I keep seeing the sport element and being slightly out of town. Near Water but perhaps not in Water. Not far away might be boats. I keep wondering if these two girls actually fell out with each other? The overall feeling I am getting is dense vegetation and Im not sure if this is auspicious for Toni but Im wondering if there are new buildings that were built in the area? I am going to look very briefly regarding Kay and the first card that I have is East going West. Seven of Swords could very well show someone coming out of a shopping center. However, odd that this card has a deceptive element on it. I have seen a quarrel in Toni's cards and this card for Kay shows that there might have been some kind of altercation with somebody and there is a third person here. There is an element of 'withdrawing' and that can be linked to vacational pursuits but something does not appear to be right about it. Two people overthrow someone else and it seems to me that there were three people and one got 'left out' maybe because they would tell on the other person. Sometimes the seven of swords can show burglary, theft but it might be something more then that. Again three people is what I am seeing here. The direction seems to be East initially. Water/boats not far away. I see someone linked to a bedroom feeling very worried and distressed and it is night time. Family say Kay was afraid of the dark and yes its true that this run of cards may indeed show that but I once again am seeing HILL/RAILWAY/AIRPORT and there is a rivalry in possible love affair here. I think if these two girls went to a disco it has ended up badly not just for one of them but both. I think they have got involved somehow with a guy who might even have a foreign element attached to him. This person might even have a stutter or problems with communicating. The Knight would show someone who is 'bad for you' but at the same time someone you might go off with when you know its not a good thing. The feeling of being 'drawn in' is here. Ace of Cups for where this young girl might be gives me thoughts of fountains/waterfalls/water being very strong so perhaps water names. This shows me that there is a union here. Perhaps even UNION is a name to consider and I just write that in case. Having a party/dancing/celebration and seeing a group of girls at least three girls perhaps at one stage. Drinking is also in this card. I have the word TREE here which could be a road name or some other reference and there is a feeling of apathy as someone offers a suggestion perhaps. An M or W may figure in some way. I am seeing a Bridge/Water and a great deal of disappointment possibly over the past, even a love affair and some kind of link to old home ground. Friends and family figure in this girls psyche and I even wonder if she was pregnant or that someone pregnant was around her. I just see some very unexpected news here regarding a child . There is also a Fisherman element. There might even be a 'two islands' element. The direction here is most certainly WEST that I can see. Bridge can be a name or a place or actual. It may figure in some way. Star reversed shows me that it is very difficult to find Kay. One has to consider that the STAR is a card of hope and inspiration and when it is reversed it somewhat taints things and gives a feeling of being uninspired to her whereabouts. I keep feeling that Christmas has something to do with her. The card has a number 17 here and I feel that as it is next door to the Moon reversed that there is a lot of dissollutionment regarding finding Kay. However, this might be to do with the fact that there are so many hidden elements and possibly even some illusion to the situation that has cast searching in the wrong direction, possibly. I am not sure that the direction is right for Kay. I feel she is 'somewhere the light does not get in' and often that can mean basements or 'dark areas' water also figures here so perhaps she is hidden. 17 might be a number/route or otherwise. There is a pond on the Star card so Im feeling that she could be more connected to water or water place where the water needs to be removed or drained. It has to be said that though it is not evident in the initial sword card that drugs/weapons can appear in this run of cards. There appears to be someone who has attempted to manipulate and control a situation and along with some kind of altercation Im wondering if this is looking pretty difficult. Tarot does tend to give many pieces of information but not always in the right order and it is important to try to seperate things if they make sense or bear any understanding to the reader. Descriptions can be very subtle. I did feel something about uniforms/military earlier and this might appear with both girls but again I cannot be sure how this links in. I fear for both of these girls and regarding the note I feel that writing that note was something Kay should have thought about because she could have potentially put herself in the way of harm by doing so. She is left unprotected by proclaiming that she is fine as I see her stuck in a situation where she is trapped. The 10 of swords gives us a Riverbank and possible neurological problems. A RAILWAY does not seem to be that far away. I have given what I feel are brief overviews of the glimpses I have in Tarot. All that I have seen could be in the past present or the future and I cannot be absolutely certain which part belongs to which time pocket. I will leave what I have written and if I get a re-think or another though on everything I will come back to post once again. I do not see these girls together, I seem to see them apart however that is just my opinion. Tarot is not 100 per cent accurate but often it can show us things quite clearly. I hope some of this helps and when it comes to Location I would ask that any suggestions I have made be treated as just possibilities rather than actualities. It is VERY UNFAIR to raise hope to any family GUESSING LOCATIONS. I NEVER wish to do this. I have simply given ideas that might be helpful and that is all I can do. I accept Tarot is not 100 per cent accurate and I may be wrong about events this must be taken into account but hopefully some of Tarots thoughts might help. I shall return here if I am inspired further in this matter on what I have received to elaborate . Picnic Island/Winding Island and Pine Tree Park may have been mentioned in the Tarot there may be a connection to those areas. Perhaps it is search areas but going back to the sporty Link there is also the Basketball Stadium South of Surry Hills. I keep seeing this sport connection and Im not sure why that is. I try to connect to the 'places' but this is not easy for me to do. They might have taken a long route maybe going to the west. The South Card is reversed so may suggest a brief sojourn to the North but I cannot be certain of this. You are very welcome. I just hope that Tarot can bring something to the table even if it is only small. Anything I can do to help I will just do my best. Dearest Empathy, I just checked the age of the man, Police believe, is responsible and he was exactly 35 when the girls went missing. I'm just absolutely shocked at this. I also talked to Toni's sister Vicki lastnight, who was in New Zealand working, when Toni went missing. She informed me that Toni had rang her a few days before she diappeared. She wanted to go to New Zealand for a holiday. Thankyou so much Empathy, for everything and your warm wishes are definitely felt, Yours Sincerely My Friend. What an insightful reading. While I read this the place - Hawards Bay kept jumping in my thoughts, it's near the airport, train line, resurants - hungry jacks-. It's just a thought or a place. Would you do a reading for Asha Degree?